How to Invite Angels Into Your Yoga Practice! Welcoming Angels Into Your Yoga Practice! If you've wanted to try out a yoga class but felt a bit uncertain…Or maybe you love yoga but you've worried about absorbing negative energy from all the other people in the class, this post is for you. You’re going to learn a simple angel invocation that will energetically shield and protect you while in your yoga practice. Because you are asking for the angels’ healing light to come into your yoga practice, you’ll find that your yoga sessions are even more grounding and nurturing than they were before. Yoga is totally encouraged and recommended by the Angels because it’s a great way to release tension from your physical body and to unite your mind, body and spirit. Everyone knows that to create significant and lasting change in life, it takes a combination of focusing on mind, body, and spirit. When I first started to open spiritually, I went through a 30-day yoga challenge, that kick-started one of the biggest spiritual growth phases of my life. Shortly after this 30 day period, I met my first spiritual teachers, aligned with my twin flame who I’m now married to, connected with the angels, and started channeling. I wholeheartedly believe in the power of meditation and connecting with the high vibrational channeled messages from the angels. However, these teachings do mostly focus on the mind and spirit side of the equation. The angels have on several occasions talked about diet, exercise, and the importance of making good choices to bring about vibrant holistic well-being but really… The body aspect of growing in body mind and spirit is so key. And Yoga? Its a great way to bring your body back into alignment. So why would you want to invite angels into your yoga practice? First and foremost, since yoga stretches certain parts of the body, it can release tension and even release pent up emotions (aka energy) as you practice. When you’re doing yoga in a room with a lot of people, there’s a lot of energy being released. So if you’re sensitive to energy, you might actually take on or tune into that energy releasing from others. 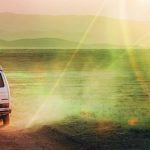 This can be a mixed bag because some of that energy might be stale or lower vibration. There’s a super simple remedy to prevent you from absorbing stale energy – inviting in your Angels! If you go to yoga in a class, I recommend that you get there a little bit early, because you’ll want time to do your Angel invocation. While you’re sitting there on your mat, tuning in, and preparing yourself for the practice, you can do your short Angel invocation to shield your energy. As you focus in, breathing and relaxing, just think, “I now ask that this room, this yoga studio be filled with divine light. Guides and Angels who can most serve and support me now, please enter into this present time and space. Please cleanse out any lower vibrational energy from this room, replacing it with light, with love, and with high vibrational energy. I ask that you stay with me throughout this yoga practice, help me to stay centered in love, and help me to tune into the full benefits of yoga here and now. Help this yoga practice to not only benefit me, but to overflow blessings throughout all that is. In addition, I ask you to please release any lower vibrations and frequencies that come up throughout the class, from myself or others. Please release anything that isn’t creating a safe, empowered space for me to practice. Just like that, your Angels will come in and empower you to have the most positive and enjoyable yoga practice that you can. Give It A Try – Invite Angels Into Your Next Practice! Now, you can do a condensed version of this invocation if you like. I just wanted to layout the full invocation for you first! When you invite Angels into your yoga practice, you minimize any potential downfalls and you maximize the benefits of yoga – healing your body and mind and growing spiritually. Side note: when you invite Angels into your yoga practice, you may become aware of older, limiting beliefs or patterns that you’re holding onto. However, when you find these old patterns, you’ll discover there are new directions you can move into, because your Angels are with you. You’ve let your angels know that you’re open to tune into their presence, and then you can really get the most out of your yoga practice. You’re uniting connecting with the Angels and doing yoga into one amazing event. 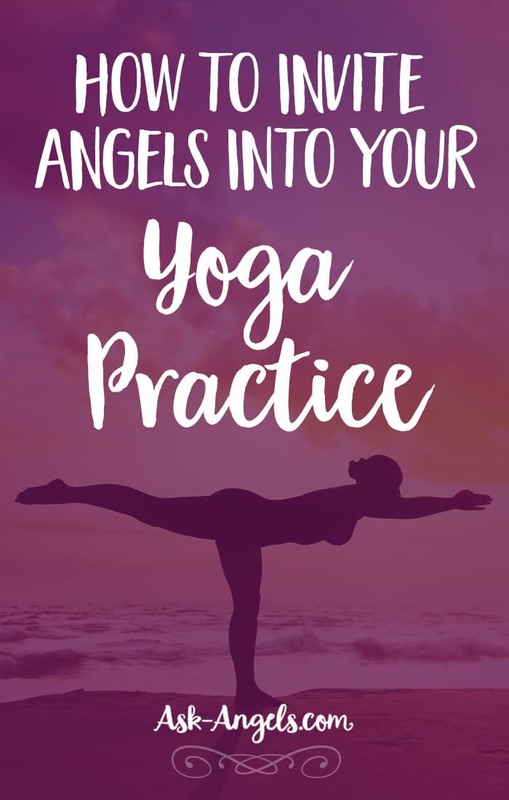 To sum up – inviting angels into your yoga practice involves using a simple invocation to get energetic protection from your angels, which also maximizes the benefits you can receive from your yoga! Learn another powerful Angelic Invocation here! Do Some People Have More Angels Than Others?